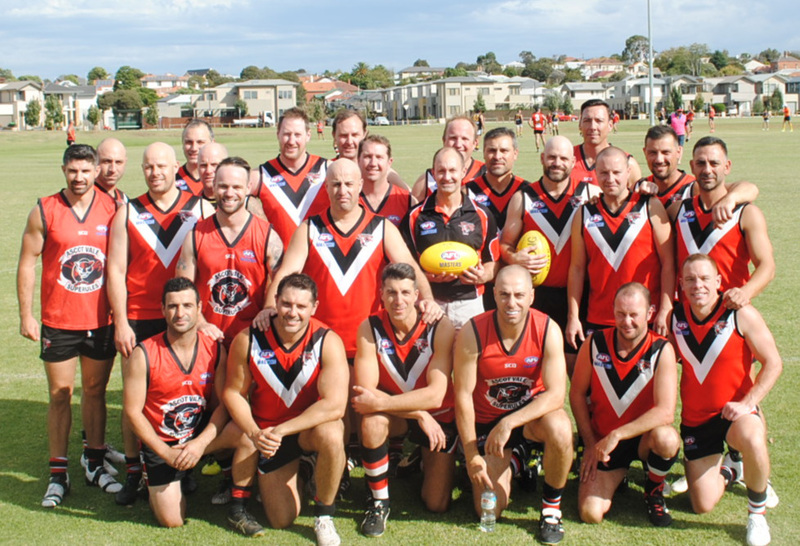 AFL Masters is football that players over the age of 35, the opportunity to participate in our great game of AFL and to compete with similarly aged players in a safe, well organized and enjoyable atmosphere. Clubs throughout the Victorian metro area play every second Sunday during the 10 game season. The fortnightly draw allows for plenty of recovery time whilst allowing players and families plenty of time to themselves. Training is just once a week at 6:30 for those who can make it! AFL Masters has a set of modified rules designed to reduce the risks of injury and has the benefit of being acknowledged and supported by the AFL and the Australian Sports Commission. Games consist of 4 x 15 minute quarters, a couple of modified rules and a few scoring modifications, other than that it’s footy as you’ve always known and loved it. The opportunity to participate at a club level, to be competitive, maintain fitness and to above all enjoy footy with friends and family is the main motivation of the players. 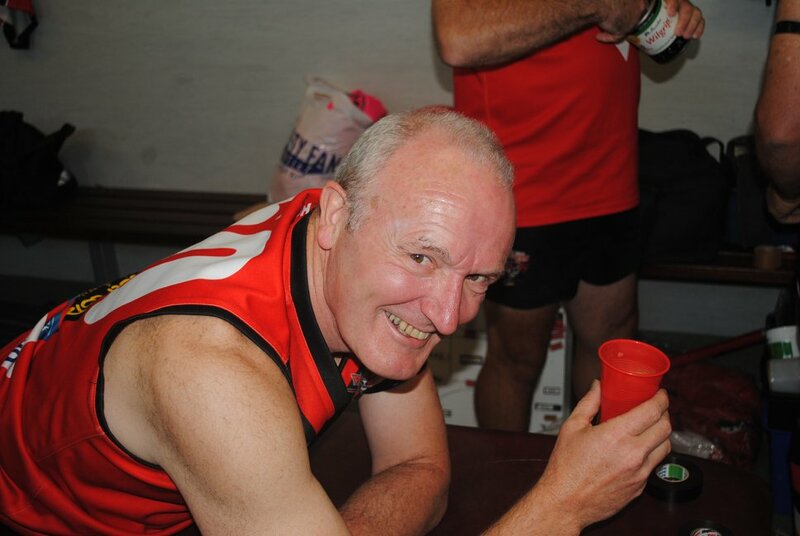 Why play with the Ascot Vale Panthers? 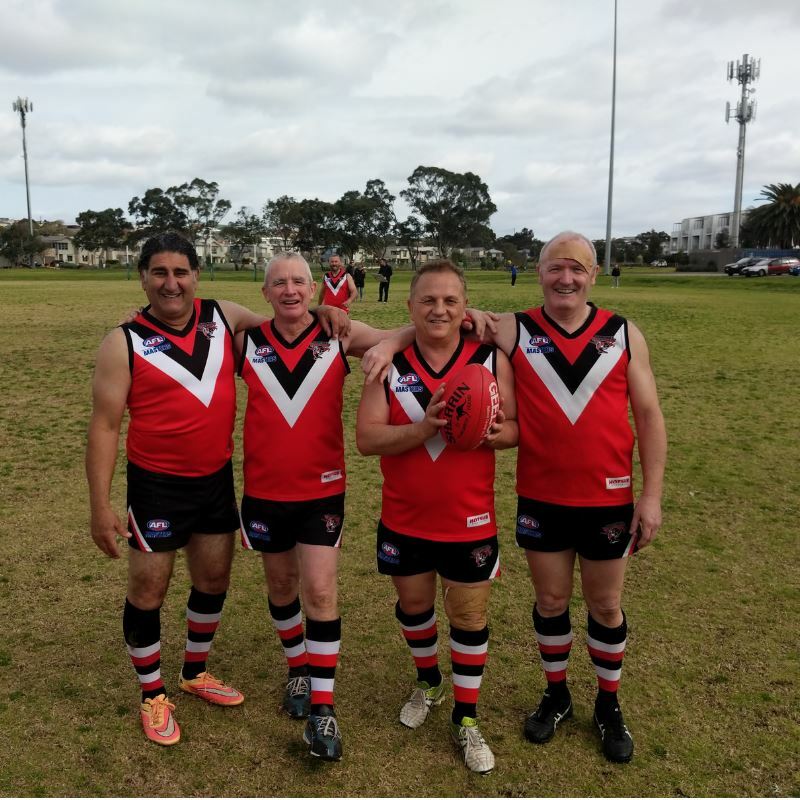 Playing in the AFL Masters competition, the Ascot Vale Panthers field two Over 35s teams and an over 50s team playing local at Walter St Reserve in Ascot Vale. All players have work and family commitments which comes before playing footy. Even still, the club is competitive regularly making finals. In 2019 we are looking for more players to join the club. We welcome all players no matter what level of experience you may have. With multiple teams we have mixture of veterans and newcomers alike. All you need is some basic fitness, a little commitment and a ton of enthusiasm. Although we all love to win, at this stage of our football journey, fitness benefits and the social interaction between teams, players, supporters and families is more important. 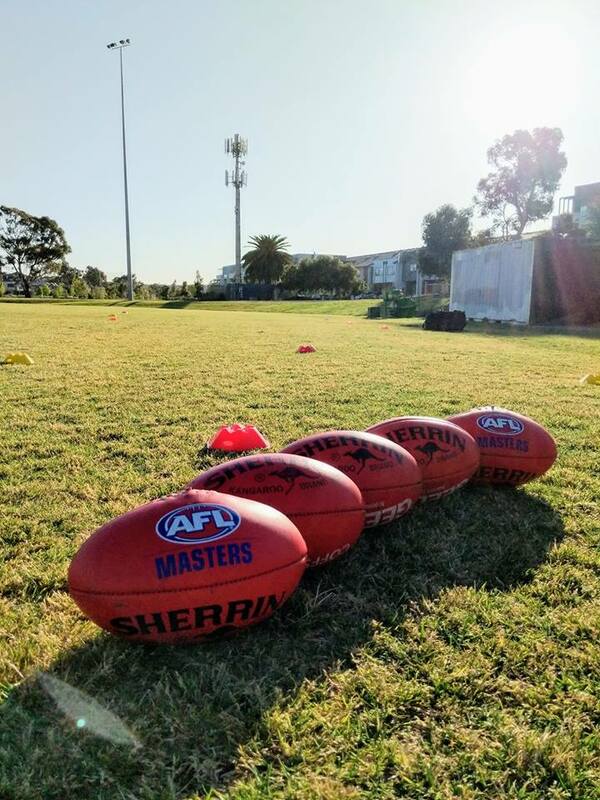 Registration is just $250 for the 2019 season which includes playing membership, new 2019 training top, Panther shorts, Panther socks and your footy jumper. Training has already started running on Monday and Wednesday nights at 6:30-7:45 at Walter Street Reserve. From mid-March training will switch to Tuesday and Thursday and run until the end of the season. Play with the local boys for Fun, Fitness and Friendship!